This autobiography by Charles Bennett (with occasional commentary by his son, John Charles Bennett) offers readers the rare opportunity to read what the screenwriting process was like while working with Alfred Hitchcock from a writer’s perspective. The astute reader will recognize immediately that the text is colored by a desire to illustrate (and sometimes over-emphasize) Bennett’s own importance. This is one of those human qualities that everyone seems to possess. Some of the stories told in the book differ greatly from accounts of the same events by other parties. The truth is that nothing in an autobiography is ever an objective account of events. This is what makes them so interesting. 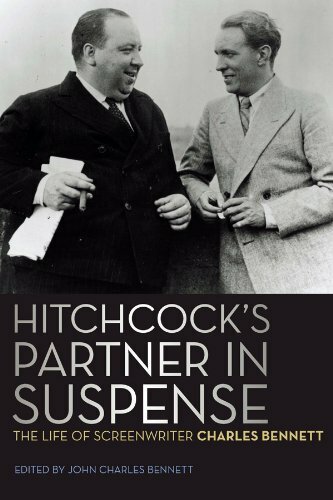 The fact that Bennett worked with Alfred Hitchcock during his British period adds an incredible amount of value to the book. This is a period of the director’s career that is rarely explored. That said; this isn’t a book about Alfred Hitchcock. As John Charles Bennett relates in his preface to his father’s text, Bennett’s title for this memoir was “Life Is a Four-Letter Word.” Obviously, a title mentioning Hitchcock is bound to grab more attention. However, one wonders if it does not do Bennett a discredit. After all, his work with Hitchcock is only one of many topics covered here. The book is an enjoyable account of an extraordinary life, and much of this life had little to do with Alfred Hitchcock. Lovers of film history would be wise to add this title to their summer reading lists.